Margaret Lynette Sharp has been kind enough to share her review of Indulge: Sensual Tales of Steampunk and Fantasy by Jenny Schwartz. You might remember Margaret from her guest author interview earlier this month and I have also recently reviewed Margaret’s novel Of Love and Secrets. Thanks for sharing your review with us Margaret! Angels and djinn, steampunk pilots and lady inventors, shifter courtship and romantic suspense with impossible heroes. This is a collection to delight, tantalise and entertain; a wonderful mix of novellas and short stories with guaranteed happy ever afters. But that’s the only guarantee. In this collection, anything is possible. Are We Really Fat Shaming Colleen McCullough The Day After She Died? Really guys?? World renowned Australian author Colleen McCullough sadly passed away yesterday, 29/01/15, at the age of 77. You can read the full article here if you don’t believe me. It seems pretty crazy right? Well, I’m sorry to say, this isn’t a joke. This is a real obituary in a real newspaper. I suppose this is just the kind of thing that happens when the majority of a country’s media is owned by two people. They can write whatever they like and we have to read it. I may be forced to read it but that doesn’t mean I don’t have a right to speak out when I disagree with what has been written. 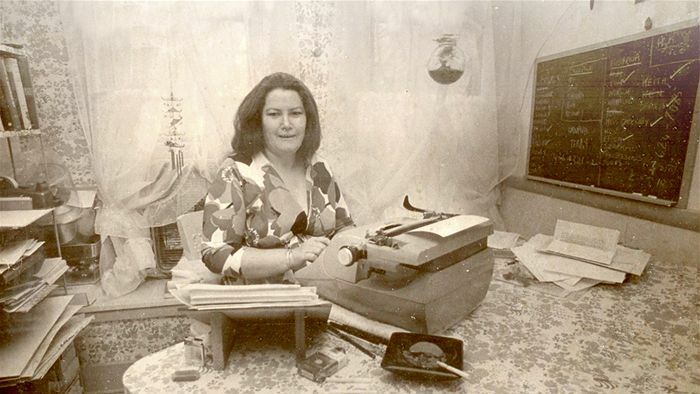 Colleen McCullough is Australia’s best selling author. She is most well known for her brilliant novel, The Thorn Birds. She wrote 25 novels, 5 of which had screen adaptations. She was a brilliant story teller and a dedicated researcher. She was also a neurophysiologist! From what I know about Collen McCullough, she also seemed like she was a nice person. I’m writing this blog post to speak out and say that I’m not ok with The Australian feeling the need to tell us all that Colleen was fat in her obituary. This is fat shaming of the highest order and completely unnecessary. I never once cared about what she looked like when reading her novels. I never care what the author of the book I’m reading looks like. How on earth could that ever be relevant to the enjoyment of a book? Vale Colleen and thank you for all of the wonderful stories that you were kind enough to share with everyone. I think most bookworms have probably read Gone Girl by Gillian Flynn by now, so I’ll keep this review a fairly short one. I read this novel when it first came out and I enjoyed it just as much the second time around this year. I decided to read Gone Girl again before I watched the movie. I know, the movie has been out for ages, but I’m really bad at watching movies the second that they are released these days! I thought that Amy was such a fascinating character. The more I read of her, the more interesting she became. What a psycho, hey! But then when you learn more about her parents and their books, ‘Amazing Amy,’ you can kind of understand how she became so crazy. I know that if my parents were writing about my amazing alter ego with all of the jabs the seemed to direct at Amy I’d probably go a bit loco too. The twist in Gone Girl is why I had to give this novel 5 stars. When I read Gone Girl the very first time I had no idea what was coming. I love a novel with a good twist! I was surprised that I still felt a little bit shocked by the complete 180 on my second reading. I felt this was because it was done so well and I’d been sucked into the story so deeply all over again. Gillian Flynn is definitely a skillful story teller and I am looking forward to reading her other novels. I haven’t read them yet, so no spoilers please! Ok, so in my opinion, Gone Girl is 110% a novel that you must read before you watch the movie. The diary style, first person narrative, is what really made the novel work for me. I find that this kind of narrative never translates well in movies (in my opinion) and they had to cut a lot of it out of course. Ben Affleck as Nick didn’t work for me either. Nick frequently tells us in the novel that he is so classically handsome that he has to work hard to convince people that he’s not a jerk. I really don’t think Ben Affleck fits that description. He’s not bad looking, but he doesn’t look or seem like Nick to me at all. On the other hand, Rosamund Pike was the perfect, or amazing if you like, Amy. She was definitely my favourite part of the entire movie. It’s funny, because I would have thought that Amy would have been the most difficult character to cast, but Rosamund Pike was exactly how I expected her to be. I did enjoy the Gone Girl movie, but definitely not as much as I loved the novel. 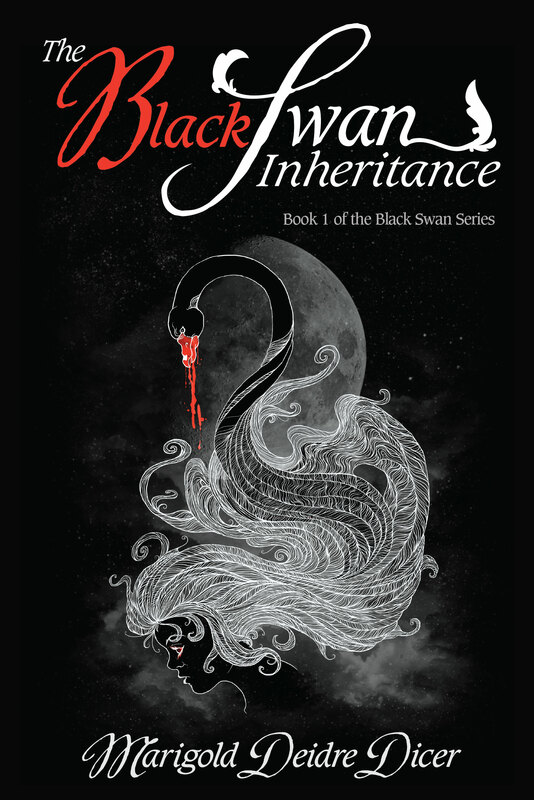 The Black Swan Inheritance by Marigold Deidre Dicer has a brand new cover (which I think looks great by the way!) To celebrate the author is offering readers the chance to download themselves a copy from Smashwords for FREE until the 6th of February. I received my copy from the author in exchange for an honest review. Kings and Queens was my very first Terry Tyler novel but it definitely won’t be the last! Kings and Queens tells the story of Harry Lanchester, property developing magnate, whose life is very similar Henry VIII, except he lives in modern times. Kings and Queens begins in the 70’s when Harry is a teenager and runs all the way through to 2007. I’m a big fan of Henry VIII novels, such as The Other Boleyn Girl by Philippa Gregory, so I was very interested to see how he would translate to the present. My biggest question was ‘how would he get rid of all of his wives when he can’t just behead them?’ I certainly wasn’t disappointed! Terry Tyler clearly has an extensive knowledge of the Tudors which was evident in all of the subtle and quite funny references to real people and events. I don’t think that knowledge of the Tudors is necessary to enjoy Kings and Queens, but the renames and references to the past were done so skillfully that I did have a laugh at most of them. The author also includes a mini biography on Henry VIII for anyone who would like to brush up on the real Henry as well, which was a very thoughtful touch. Kings and Queens was written in first person narrative from the perspective of all of Harry’s wives and these were broken up by entries by Harry’s best friend, Will Brandon/The Duke of Suffolk. I think it added to Harry’s mystique that we never heard his perspective throughout the novel. He certainly is a fascinating character! Each of the characters that we do hear from has their own distinct voice and each time the perspective changed I would find myself taking their side in things, even though that required a complete 180 from the previous chapter. I’ve never changed my mind so many times in one novel! Every single character was developed so well, with just the right balance between acknowledging their historical counterparts and making them a brand new character who lives only in this novel. I could definitely ‘hear’ each character in my mind while I was reading. Kings and Queens also had quite a few funny moments. I loved all of the bad fashion descriptions from the 70’s, 80’s and 90’s and there was just the right amount of British slang to be funny, not contrived. As you can probably tell, I loved Kings and Queens. Fans of Henry VIII will enjoy the nods to the past, but anyone who likes a good romantic drama or interesting and well developed characters and story lines should add Kings and Queens to their TBR pile. I can’t wait to read the sequel, Last Child, which is coming out soon! Published: January 5th 2015 by Amazon Digital Services, Inc. This is the story of an eighteen-year old woman as she battles for autonomy and a life of her own. Still living at home, under the ever-watchful eye of her domineering mother, Jenny struggles to build a life and find love. What is her destiny? Of Love and Secrets by Australian author, Margaret Lynette Sharp, is a lovely contemporary romance novel, set in beautiful Sydney, Australia. 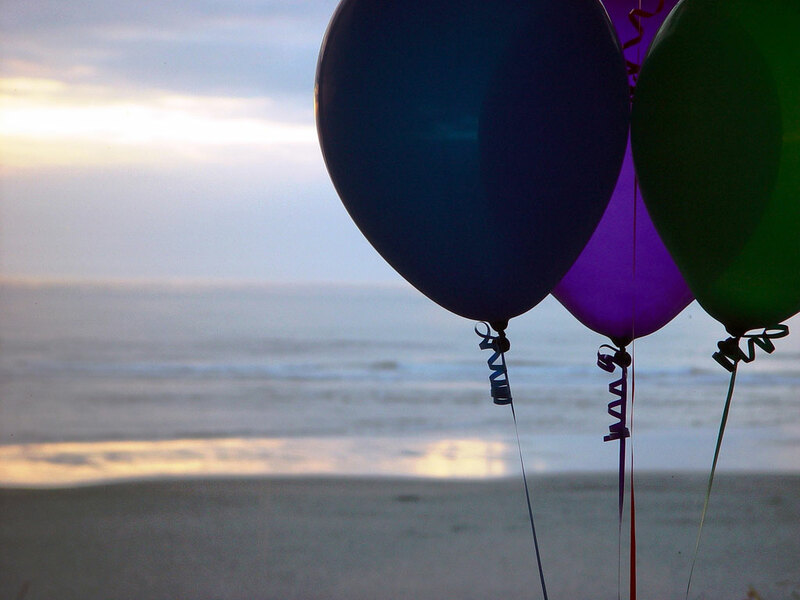 Jenny has just turned 18, has been dumped by her boyfriend, and feels like her mother still treats her like a child. She jumps at the chance to get out of her stifling home to go to a party with her friends where she meets the handsome older man, Richard. Jenny and Richard begin to spend all of their time together and seem to fall head over heels in love with each other. Jenny believes that she is old enough to make her own decisions. Richard is only in his early 20’s, appears to really like her, and even her Dad seems to like him, so what’s the problem? Jenny’s mother has all kinds of problems with the relationship. She thinks that Jenny is too young and that Richard is only interested in taking advantage of her. This makes things very tense at home, but when Richard starts to talk about moving to Melbourne Jenny begins to wonder where exactly their relationship is heading. Jenny was such a likable, if a bit naive, character that I found myself really hoping that things would work out between her and Richard. I was really hoping for her to stand up to her overbearing mother, although I could also see things from her point of view at times. Even when you’re 18 it is quite rude and irresponsible to be staying out til all hours without letting your parents know and 18 is still too young to know for sure that you’ve found the love of your life. (In my opinion.) However, one of the most difficult aspects of parenting must be knowing when to let go and allow your children to make their own decisions, good or bad. I really enjoyed Of Love and Secrets. It was much more than just about romance, it was about families, relationships, and the struggles of growing up and finding your own place in the world. Check out Margaret’s Guest Author post here from earlier this month!